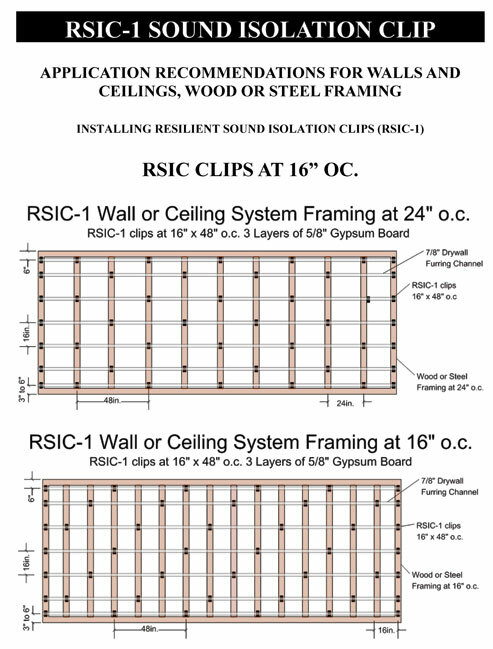 Experience with the RSIC-1 Soundproofing Clips has recorded remarkable improvements of up to an additional 20 STC points on walls. 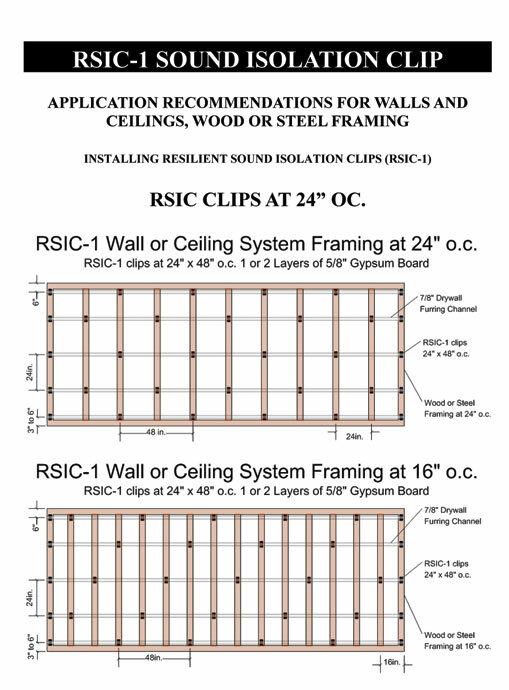 The RSIC-1-R soundproofing clip is designed to retrofit and improve existing walls and ceilings has shown to improve existing walls by as much as 8-10 dB by actual field tests. 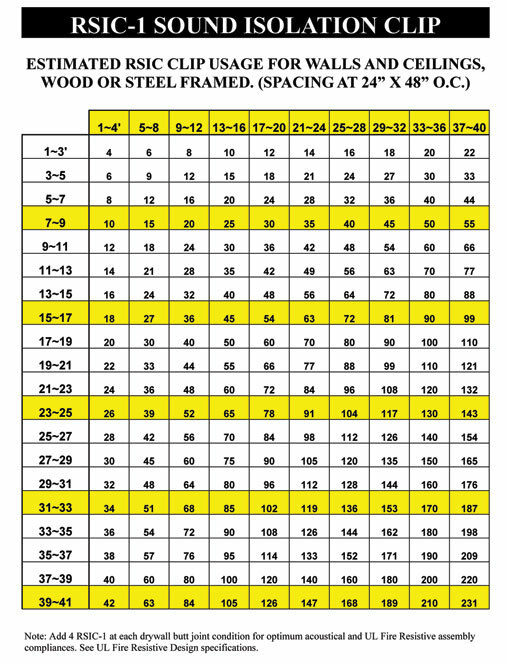 Wall Detail – RSIC Clips at 24″ O.C. 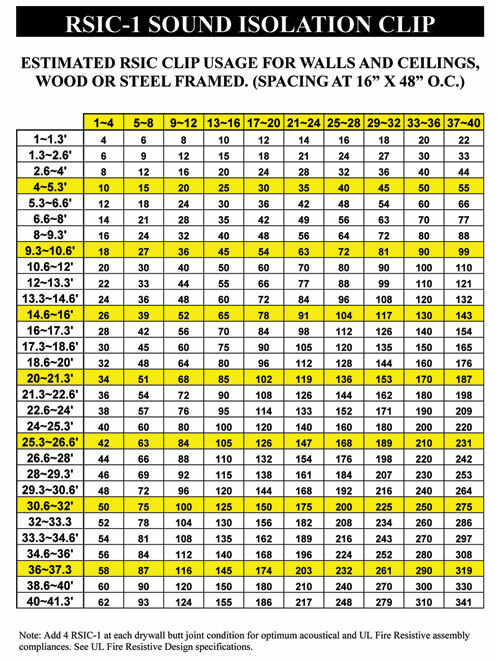 Wall Detail – RSIC Clips at 16″ O.C.